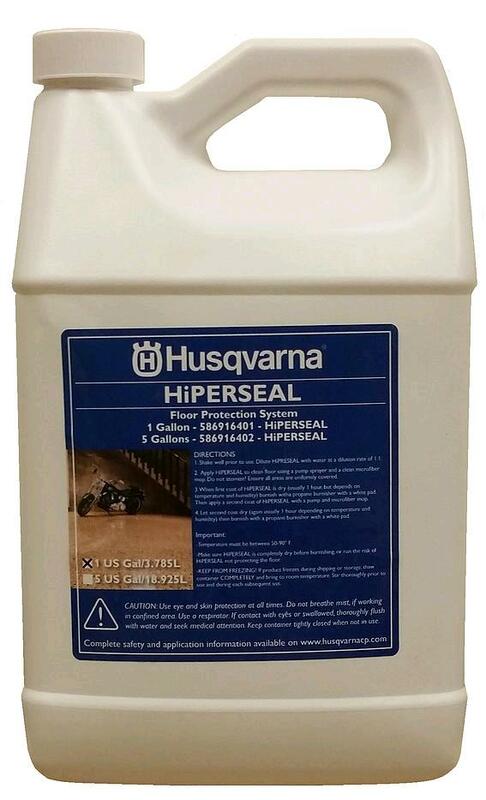 HiperSeal is a topical sealer that can be applied to a concrete surface at the end of the polishing process. Stains are kept at the surface level, which simplifies maintenance, cleaning and extends the lifespan of the floor. HiperSeal improves the surfacr sheen and stain resistance of the concrete. It makes the concrete significantly more resistant to fats, oils, water and mild acids. It works by sealing the concrete surface, not allowing penetratio of foreign material into the concrete. Approximate coverage is sq. ft per gal. * Please call us for any questions on our concrete polishing hiperseal 1 gal rentals in Portland OR, Gresham OR, Milwaukee OR, and surrounding metro area.